Home » Telugu » News » Naa Peru Surya tweet review: Could Allu Arjun starrer impress the audience? 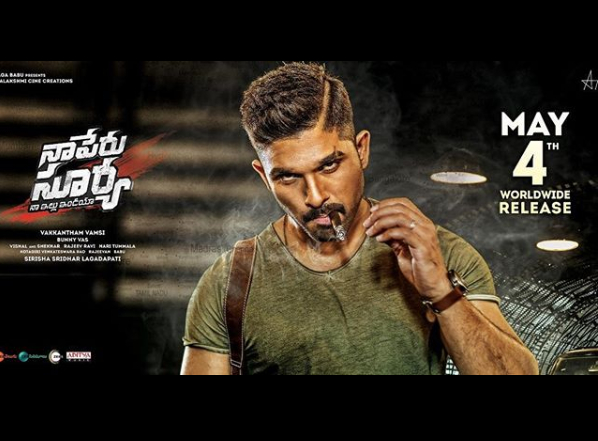 Naa Peru Surya tweet review: Could Allu Arjun starrer impress the audience? Naa Peru Surya has finally hit the screens today. The action drama starring Allu Arjun and Anu Emmanuel in the lead role is receiving mixed reviews from the audience. Actor Allu Arjun is back with another electrifying performance with director Vakkantam Vamsi’s Telugu movie Naa Peru Surya Naa Illu India (NSNI). The much-talked film has finally hit the screens today. The action drama starring Allu Arjun and Anu Emmanuel in the lead role is receiving mixed reviews from the audience. The film also has Arjun Sarja, Sarath Kumar and Thakur Anup Singh in pivotal roles. The makers of the film had left no stone unturned to promote the film and this only helped to increase the recall value of the action drama. The film has a lot that is sure to impress the audience in the cinema halls. From Bunny’s aggressive military officer role to his romantic track with Anu Emmanuel, Naa Peru Surya managed to stay in the limelight. The music of this film is composed by Bollywood duo Vishal-Sekhar. Allu Arjun’s recently released song Lover Also Fighter Also from the film managed to win audience hearts. The choreography of Allu Arjun’s cap tricks in the song had caught the attention of the audiences. A pure case study of soldier surya.Bunny excels in his angry young man role.fights,songs,bgm and the conflict btw bunny and arjun were major https://t.co/fZrLPiBVqW sticks to its core content mostly.Initial drag was the only complaint.worth watch👍. #NaaPeruSurya #NPS – An honest core that is undone by the compromises around it! The film looks jaded throughout and the drone shots lack finesse! There are a couple of really good scenes but overall, it is a letdown! @alluarjun 🙏🙏🙏🙏 Surya is another Chitti babu & Arjun Reddy.. GOOSEBUMPS INDUCING CHARACTERISATION & PERFORMANCE 👌👌 Action Choreography & Background score are Outstanding..